Let's Talk Space: What are some of the most powerful rockets today and how do they compare to rockets of the past? What are some of the most powerful rockets today and how do they compare to rockets of the past? There have been many, many launch vehicles over the years. The list of retired vehicles is almost never ending. But how do these rockets of old stack up to the new wave of heavy launch vehicles? Let's find out. To be as brief as I can, there are only a few modern rockets that stand up to the four big boys of the past that I will be mentioning. These four monstrous, (unfortunately)retired rockets are Saturn V, the Space Shuttle, Titan IV, and Energia. But before we talk about how these rockets compare to modern day, we need a way to compare them. I will be using the pound force unit(lbf), which dictates how much force can be applied to the earth through the boosters and however many stages the particular rocket may have. All force measurements will be taken from sea level unless the rocket is in space when a stage fires, making this measurement in a vacuum. Also, I must include that all the launch vehicles on this list are classified as heavy-lift launch vehicles, meaning they can carry at least 20,000kg to LEO. Alright, let's get into this. 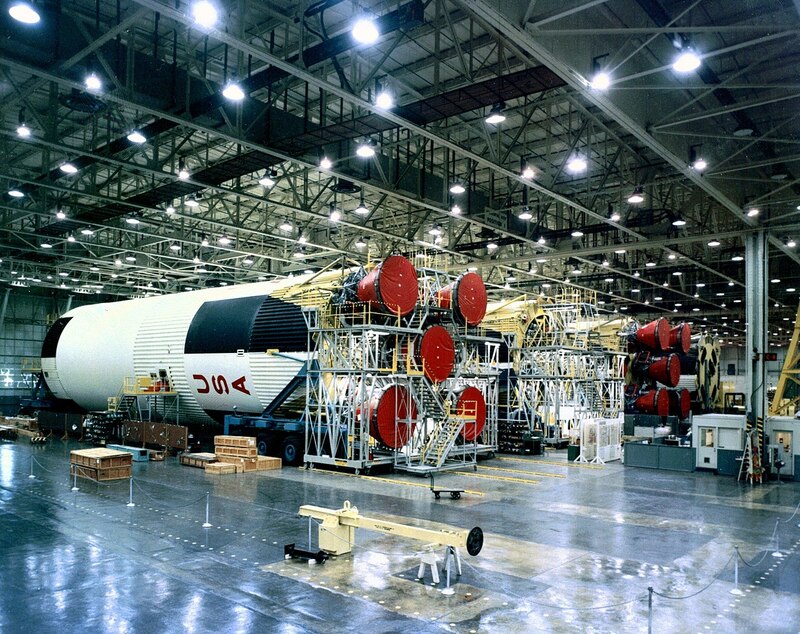 The largest rocket ever successfully launched, meaning it produced the most thrust, was the Saturn V rocket. This rocket produced a whopping 9,279,050 lbf over three stages. Man, I wish I could've been around to witness that but unfortunately it was before my time. 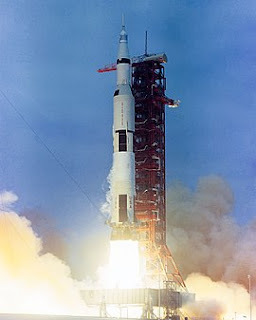 The rocket was used a total 13 times with 12 successes and one partial failure(Apollo 6). I will go into the specifics of the Saturn V later in this post but let's get on to the other retired heavy launch vehicles. The Energia, a Russian-made rocket, that produced 7,800,000 lbf of thrust through the boosters and the core stage. It only launched twice and was successful both times. Next is the Space Shuttle, producing 6,780,000 lbf of thrust through the boosters and a first stage. Last of the retired vehicles is the Titan IV which produced a force of 4,053,000 lbf through boosters and a first and second stage. This is a very general overview of some of the mathematically most powerful rockets ever launched, but I will get into engine specifics and other data after we go over some of the modern look-a-likes to the behemoths. Let's look at some present-day counterparts to the past rockets. 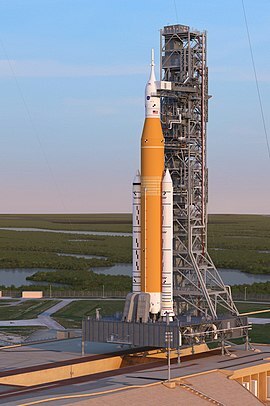 This first rocket, although it has never launched and it's future may now be in jeopardy, would be the closest rocket to rival the Saturn V. This is NASA's Space Launch System, which would produce an incredible 8,993,800 lbf, which is only 285,250 lbf off the largest thrust ever produced by a rocket. It would be produced by twin boosters as well as a first and second stage and possibly an Exploration upper stage. The next most powerful rocket currently in use is SpaceX's Falcon Heavy, coming in at 5,310,000 lbf. This is no Saturn V, but it is still a massive amount of force. This would be achieved by twin boosters and a first and second stage. An interesting talking point about the Falcon Heavy is its reusability, but more on that later. I'm going to list off the next rockets in line to save your precious time, but more detail will come later. After the Falcon Heavy comes Blue Origin's New Glenn(4,070,000 lbf), the Ariane 5 ECA(3,415,000 lbf), the Proton-M(3,064,000 lbf), and the Delta IV Heavy(2,145,000 lbf). Not many of these rockets rival the retired rockets, but they are still considered heavy-lift launch vehicles and deserve to be highlighted. Now that you've seen a basic run-down of some of the past and present, let's get down to the nitty gritty details. I'll start with Saturn V.
The Saturn V rocket was used for 13 missions during the Apollo program and later to carry the Skylab from 1967 to 1973. It holds many rocket records, including the highest total impulse of any rocket, the heaviest payload launched and the largest payload capacity to LEO. The rocket was 363 ft tall and had a mass of 6,540,000 pounds. It could carry up to 310,000 lbs to LEO and 107,100 lbs to TLI. This capacity is what allowed NASA to send the lunar module to the moon. 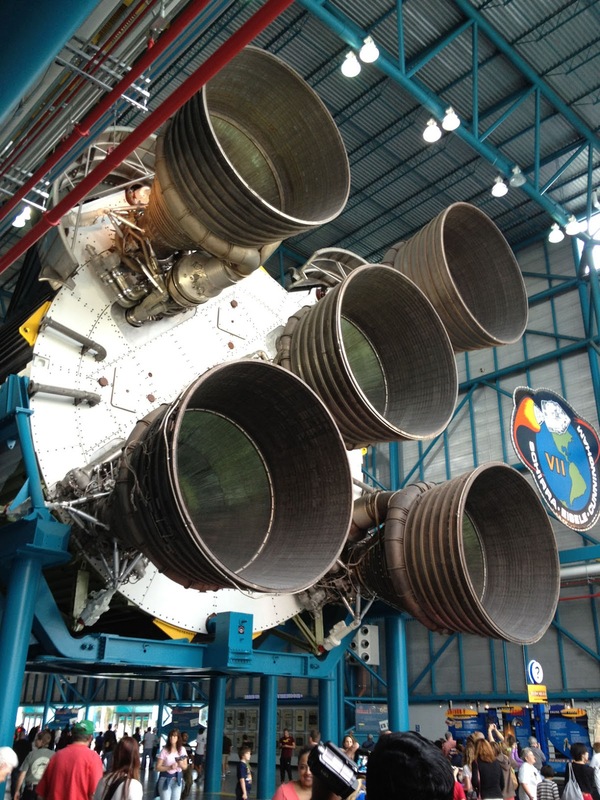 The Saturn V had three stages with various burn times and thrust abilities. The first stage was 138 ft long and weighed 5,040,000 lbs when loaded. 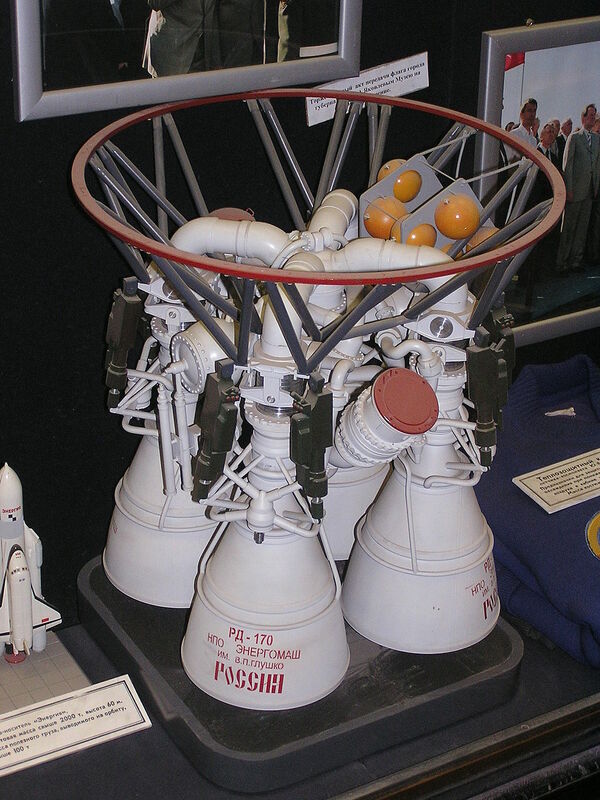 The stage was propelled by five Rocketdyne F-1 engines. The F-1 is a gas-generator cycle rocket engine that was developed in the 1950's. Each F-1 put out 1,522,000 lbf of thrust upon ignition with a thrust-to-weight ratio of 94.1. Each engine is 18.5 ft tall by 12.2 ft across. The engine used LOX and RP-1 as fuel, which were consumed at an insane rate. A single F-1 burned 5,683 lbs of LOX+RP-1 per SECOND, 3,945 lbs of LOX and 1,738 lbs of RP-1. This equates to a flow rate of 671.4 GALLONS per SECOND. Now imagine this for 5 OF THESE. The flow rate would be 3,357 gallons per second. I simply cannot wrap my head around those numbers. During the two minutes thirty seconds of first stage burn these F-1 engines propelled Saturn V to 42 miles above the Florida coast going a speed of 6,164 mph. The F-1 remains the most powerful single combustion chamber liquid-propellant rocket engine ever created. Stage two(S-II) was 81.5 ft long and 33 ft in diameter and had a mass of 1,093,900 lbs when loaded and was propelled by five Rocketdyne J-2 engines. The J-2 was a liquid-fuel cryogenic engine which burned cyrogenic liquid hydrogen(LH2) and liquid oxygen(LOX) as propellants, with each engine producing 232,250 lbf of thrust in a vacuum. The thrust-to-weight ratio was 73.18 and the total burn time was eight and a half minutes, split into two separate burns. The first burn lasted about two minutes which placed the craft in LEO and the second burn came when the engines were reignited for translunar injection, a burn of six and a half minutes. Stage 2 separated from stage 3 in one step to move onto the third phase of the launch. Stage 3 was 61.6 ft long and 21.7 ft wide and had a mass of 271,000 lbs full. The third stage was propelled by just one Rocketdyne J-2 unlike stage two's five engines. The Saturn was and still is the most powerful rocket to ever fly, and even with the newest technology and engineering, it doesn't look it will be dethroned in the near future. The next most powerful rocket on the retired list is the Energia, a Soviet rocket used to carry payloads including the Buran Spacecraft, a Soviet version of the Space Shuttle. I had never heard of the Energia before doing research for this post, and it only launched twice, so I am led to believe this a less well-known rocket than say a Saturn V or Titan IV. 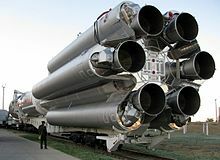 The Energia used four strap-on boosters, which were powered by four-chambered RD-170 engines and a central core stage of four one-chambered RD-0120 engines. It doesn't have directly outlined stages, but the four boosters detach about a two and a half minutes into flight after expending all their fuel to power the core stage and payload to the second stage, where the core burns for around another three minutes and then it too detaches. Each booster has one RD-170 engine which has four nozzles and uses LOX and RG-1, which is basically the Soviet equivalent of RP-1. Each RD-170 produces 1,631,000 lbf at sea level and has a thrust-to-weight ratio of 75. They burn for 150 seconds total and then are detached with the boosters. In comparison to the Rocketdyne F-1, the RD-170 is the most powerful MULTI-combustion chambered engine with the F-1 is the most powerful SINGLE-chambered engine. The core stage carries four one-chambered RD-0120 engines fueled by LH2 and LOX. Each RD-0120 has a thrust of 343,000 lbf with a thrust-to-weight ratio of 43.95. They burned for eight and a half minutes and then detached from the orbiter. The second and last flight of the Energia was in 1988. Although this is the second-most powerful rocket to ever fly, not much was recorded or saved in the fall of the Soviet Union so there is not very much info out there about the Energia. Even so, it takes second spot handily on the all-time list. NASA's Space Shuttle is the third most powerful rocket to ever launch. The Space Shuttle launched 135 times total from 1981 to 2011 with two failures, the Challenger and Columbia disasters. The Space Shuttle was mainly used to carry interplanetary probes, satellites, the Hubble Space Telescope, and crew and payloads to the ISS. The total mission time of the Space Shuttle was 1322 days, 19 hours, and 21 minutes. The Space Shuttle is designed similarly to the Energia, with two boosters instead of four and a main core stage. 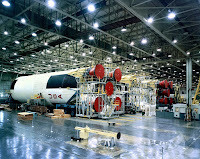 The boosters, Solid Rocket Boosters(SRB's), were the first solid fuel motors to be used on a vehicle for human spaceflight and provided the majority of the thrust for the two minutes that they burned. After they burn, they are detached and later recovered in the Atlantic. The SRBs are the most powerful solid fuel motors ever flown, with each producing a maximum thrust of 3,100,000 lbf, about double the F-1. Each booster had a mass of 1,300,000 lbs and was 149.16 ft tall and 12.17 ft in diameter, and combined they made up more than half of the mass of the Shuttle at liftoff. The boosters powered the Shuttle 28 miles into the sky going a speed of 3,094 mph during the two minute burn. Primary elements of the boosters include the motor(the case, propellant, igniter and nozzle) structure, separation systems, flight instrumentation, recovery abilities, pyrotechnics, deceleration systems, tvc system and range safety destruct system. The fuel used in the boosters was PBAN-APCP, which stands for polybutadiene acrylonitrile ammonium perchlorate composite propellant. I'm not going to act like I know what that means, but you can google it if you want to know more about it. Next we move on to the first stage which is the orbiter plus the external tank. The external tank served simply to hold the LOX and LH2 that powered the three SSME engines located on the Orbiter. There were five iterations of the orbiter that flew: Columbia, Challenger, Discovery, Atlantis, and Endeavour. The Orbiter looks similar to a conventional aircraft with delta wings and a 60-foot payload bay which can accommodate cylindrical payloads up to 15 ft in diameter. The Orbiter was propelled by three main Space Shuttle Main Engines, or SSMEs. The SSME is a liquid-fuel cryogenic engine that uses LOX and LH2, and there are plans to use these engines on the Space Launch System, which we will talk about later. The engines were designed and manufactured by Rocketdyne to produce 418,000 lbf per engine on takeoff. The upgraded version of these rockets is still in use today. Each engine has a mass of 7,700 lbs and a thrust-to-weight ration of 73.1. The cluster of three engines on the base of the Orbiter were used for propulsion during the entire ascent into space. The Space Shuttle is one of the most historically dense and important vehicles without the fact that it is one of the most powerful rockets ever launched. When you add the history and the power, the iconic Space Shuttle easily takes third on the list of retired vehicles. 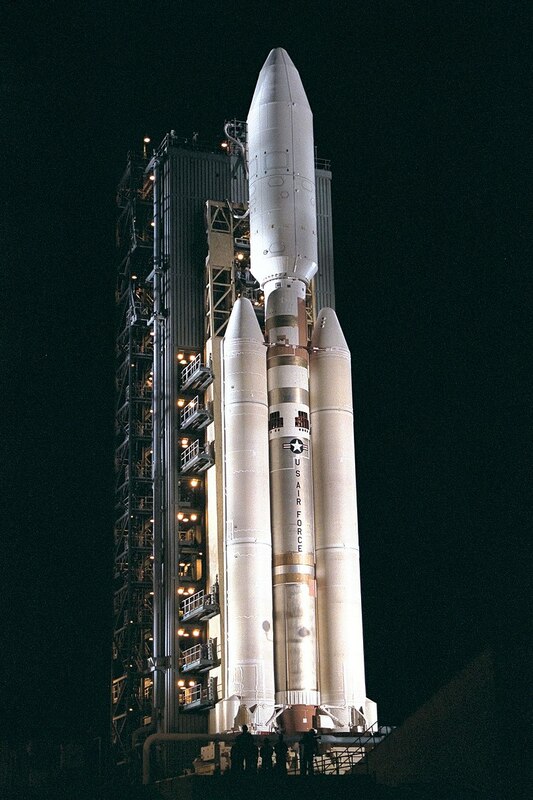 The Titan IV may not be as historically important and well-known, but it certainly has its place in history. It is a newer retired rocket, with the last launch of the B coming in 2005. The Titan IV was only developed to launch a mere ten times for the U.S. Air Force, but when the Challenger disaster happened, NASA had a renewed dependance on expendable launch systems like Titan, so the program was significantly expanded. The original plan was for Titan to complement the Space Shuttle, but under the new plan, the Titan would launch 39 times with payloads such as satellites, military equipment, and Cassini. The Titan had a lot of variability in how it was launched. 3-5 stages and either the IUS or Centaur upper stage gave the Titan at least 7 different combinations for launch, which makes this rocket unique. Let's go over what made this rocket so versatile. Both variations, IV-A and IV-B had two boosters, but I will only be going over the IV-B because it has more total thrust. The boosters were Hecules SRMUs, which were solid fuel boosters that burned hydroxyl-terminated polybutadiene for a little over two minutes and then jettisoned and the first stage was initiated. The boosters had a combined thrust of 3,400,000 lbf. The first stage used an LR87 liquid-fuel engine that produced 548,000 lbf of thrust and burned for a little under three minutes. The LR87 itself is composed of twin motors with separate combustion chambers, but it is still considered a single unit. The fuel is dinitrogen tetroxide and Aerozine 50, which were upgraded variants from previous testings of the engine. The second stage consisted of one LR91 engine, a derivation of the LR87. The LR91 also used dinitrogen tetroxide and Aerozine 50 as fuel and produced 105,000 lbf of thrust over four minute give or take ten seconds. The third stage was optional, but we will include it for the purposes of this article. 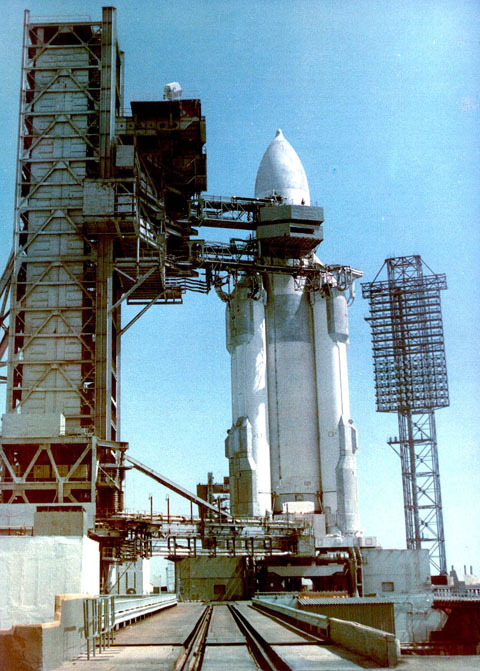 This stage was called the Centaur-T stage and was powered by two RL10 engines. These engines ran on LH2 and LOX and produced 33,100 lbf of thrust over ten and a half minutes. An interesting fact about the RL10 is that it was the first liquid hydrogen engine to be built in the U.S. The Titan rocket could carry 47,800 lbs into LEO and 12,700 lbs into a geosynchronous orbit. Although the Titan is the lowest thrust-producing vehicle on our retired list, 4,000,000+ pounds of thrust is nothing to sneeze at and is only out-powered by two modern vehicles. Titan IV takes fourth on the retired list. The SLS technically should not count because it has not launched yet, but I'm going to include it anyway. Unfortunately, with the recently proposed for NASA for 2020 cuts funding for future upgrades so the future of the SLS is in limbo right now, but we will see what happens with it. The SLS is to be used for NASA's goals in deep space exploration, including a crewed mission to Mars. The Block 1, or first version of the SLS, will be able to launch 95 tons into LEO with later version being able to take up to 130 tons of objects such as the Lunar Gateway, the Orion spacecraft and the Europa Clipper. The path of upgrades currently stands as 1, 1B, and 2 with Block 1 used for Exploration Missions 1 and 2, the Block 1B used for the Gateway, and Block 2 for Mars missions. I will only discuss the hardware of the Block 1 since the other two may be in jeopardy. The SLS is made up of two solid rocket boosters and a first and second stage. Each booster has five segments, and they are identical to the five-segment boosters that were developed for use on the Space Shuttle after Columbia destruction. The first test of these boosters was completed in April 2015. Each booster provides a thrust of 3,600,000 lbf for a total of 7,200,000 lbf of thrust just from the boosters. The boosters burn for 126 seconds and use PBAN/APCP for fuel. The first stage, the core stage, is 211 ft 11 in tall and 27 ft 7 in wide with a mass of 2,159,322 lbs. It uses four RS-25D/E engines, which are made by Rocketdyne again. These are also taken directly from the Space Shuttle, being the Space Shuttle Main Engines, SSMEs. Refer to the Space Shuttle section for direct info. These four engines produce an additional thrust of 1,670,000 lbf to power the SLS to LEO. The second and last stage of BLock 1 is 44 ft 11 in tall and 16 ft 5 in wide with a mass of 67,700 lbs. It uses one RL10B-2, a cryogenic rocket engine by also by Rocketdyne. It burns LH2 and LOX with a thrust of 24,750 lbf in a vacuum. For further upgrades, things that will change(if there is money for it) are increased booster technology, creation of an Exploration upper stage, and other enhanced upper stages. The SLS has its critics, though. Many see the SLS as the future of deep space exploration, but others aren't so sure. Some think it would be easier and cheaper to use say, a Falcon Heavy, rather than waste so much funding on our own rocket. They say the funding could be used to fund other important NASA missions that have recently lost funding. The drawback to using a Falcon Heavy or any commercial vehicle is that none have the capacity of payload that the SLS would have, so objects like the Lunar Gateway would have to be assembled in space. Now, this is doable, but not ideal. It slows down the track of deep space exploration, and the last thing that goal needs is more delays. Both schools of thought have their pros and cons, and this will continue to be a heated debate for years to come. Whatever your viewpoint, you have to recognize the capability and hope that a rocket like the SLS brings to NASA and all space exploration. With upgrades from Block 1, the SLS could surpass the Saturn V as the most powerful rocket of all time and power us into an era of exploration and discovery like never before. The people want deep space exploration, and high costs be damned, we're going to get it one way or another. Now we move on to the real top spot on the modern rocket list, meaning this rocket has successfully launched, unlike the SLS. The Falcon Heavy is made by SpaceX, a commercial company created by entrepreneur Elon Musk. The Falcon Heavy is very intriguing because of its reusability. The boosters and core stage can be autonomously landed and refueled for another flight, which makes this rocket very unique, basically one of a kind. The Falcon Heavy is essential three of SPaceX's Falcon 9s strapped together, with the core stage being strengthened. The Heavy has the highest payload capacity of any operating rocket right now. The first launch of the Heavy came on February 6, 2018 from launch pad 39A at KSC. The next flight is scheduled for April 2019, where it will carry an Arabsat satellite into orbit. The first launch was scheduled for 2013, but after two Falcon 9 anomalies during launches, the process of strapping three of those together to make the heavy was deemed too dangerous to launch and was postponed as engineers worked to fix the problems. The Heavy is based around a structurally increased Falcon 9 as the core, with two additional Falcon 9 first stages acting liquid fuel strap-on boosters, which looks similar to the construction of the SLS as well as the Delta IV Heavy which we will get to in a bit. The core stage and the boosters produce 1,700,000 lbf of thrust each, and combined with the second stage, produce a total thrust of 5,310,000 lbf of thrust. Each booster and the core stage is equipped with nine Merlin 1D engines, which are SpaceX designed as well. Each individual engine produces 190,000 lbf of thrust at sea level with an incredible thrust-to-weight ratio of 179.8. The propellant used by the Merlin 1D is LOX and RP-1 in a gas generator cycle. This is the fourth design of the Merlin engines, with the goal of the 1D being increased reliability, improved performance and increased manufacturability. The only difference in performance between the boosters and the core stage is that the core burns 23 seconds longer than the boosters. Like I mentioned above, the boosters are reusable. 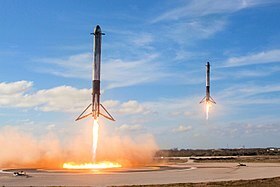 SpaceX first tested this in 2013, and failed multiple different times, but the boosters were successfully landed during the first launch of the Falcon Heavy in 2018. This goes along with SpaceX's goal to make space travel cheaper than ever. The second stage I mentioned is propelled by a version of the Merlin 1D that is specialized for a vacuum. It produces 210,000 lbf of thrust over 397 seconds of burn time. With the ambition of Elon Musk, the things they have already achieved as a commercial company, and the trust that NASA has put in the company gives us many things to be excited about with SpaceX. 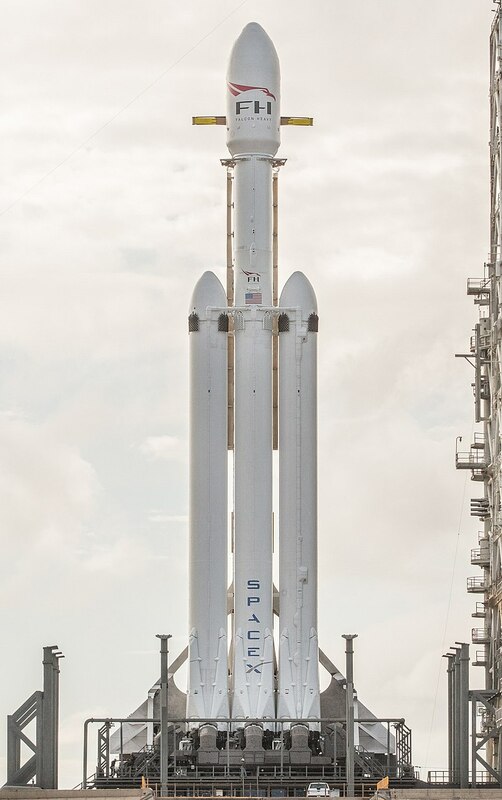 The Falcon Heavy is the true top dog of modern rockets. The New Glenn is a rocket that is similar to the SLS due to the fact that it has never launched either, but it is too exciting to not include. The New Glenn is being built by Blue Origin, a company founded by Amazon owner Jeff Bezos. It is a two-stage rocket with a diameter of 23 ft that is powered by BE-4 and BE-3U engines. This rocket, like the Falcon Heavy, is built to be reusable. The first launch is scheduled for 2021. Blue Origin is somewhat secretive about their developments, so this section might be a little shorter than others. The payload of the New Glenn is scheduled to be 99,000 lbs to LEO and 29,000 lbs to GTO. The first news of Blue Origin building this new rocket came in 2015, with the design and name of the vehicle being released in September 2016. The first stage is powered by seven BE-4 engines, BE standing for Blue Engine, because they are designed by Blue Origin. Each engine has been designed to produce 550,000 lbf of thrust at sea level. The propellant will be LOX and liquid methane. Not much else is known about the BE-4 because it is still in development. The second stage will feature 2 BE-3U engines which will produce 320,000 lbf of thrust. 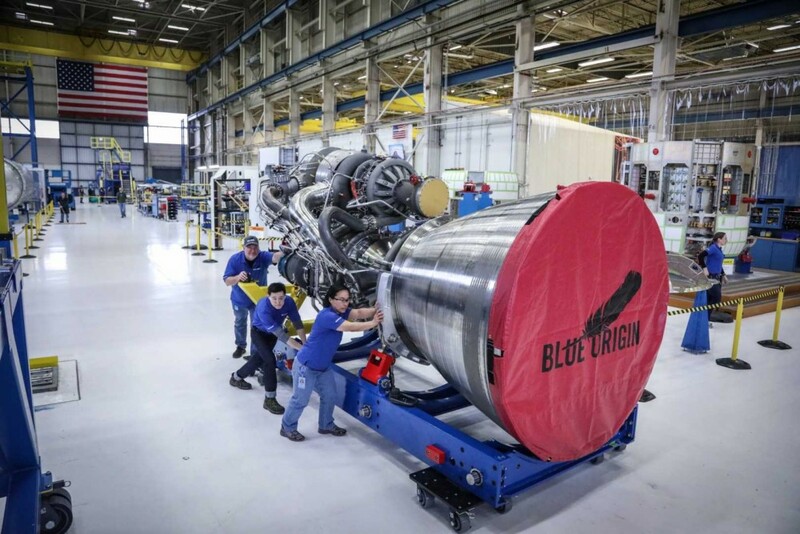 This engine is also created by Blue Origin and is a derivative of the BE-3, with the BE-3U specialized for upper stage use. The propellant will be LOX and liquid hydrogen. The goal of the New Glenn will be to take larger satellites to GTO, or geostationary transfer orbit. It already has five contracted customers: Eutelsat, mu Space Corp, SKY Perfect JSAT, OneWeb, and Telesat. If New Glenn launches before any new rockets overtake it, it will be third on the most powerful modern rocket list with a total thrust of 4,070,000 lbf. The Ariane 5 ECA is a European Space Agency rocket designed to deliver payloads 44,000 lbs to LEO and 24,504 to GTO. There are five versions of the Ariane 5, but we will only be looking at the ECA because it is the most powerful version and it is the only rocket of the Ariane family still active. 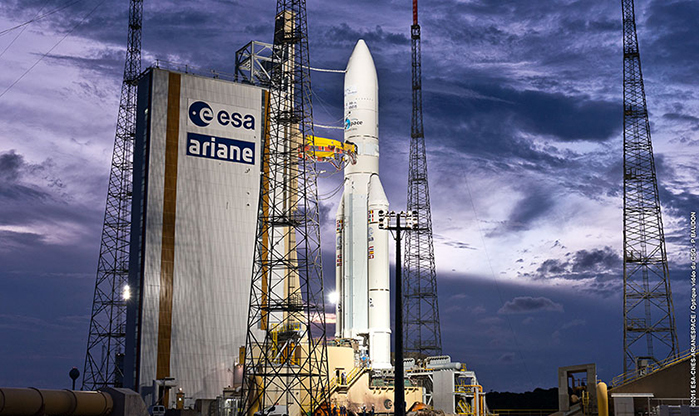 The ECA has launched 70 times, more than any other in the Ariane family. The first launch of the ECA occurred in December 2002 and the most recent launch was last month, February 2019. 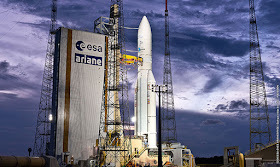 Some notable payloads of the Ariane family include Galileo, Planck, and Rosetta. The ECA will launch until 2022, when it will be replaced by the Ariane 6. The Ariane 5 ECA is designed similar to the SLS, Falcon Heavy, Delta IV Heavy etc. It has two boosters strapped to a main core, but they are not reusable like SpaceX or Blue Origin. Each booster of the ECA produces 1,590,000 lbf for a total thrust of 3,180,000 lbf. They are propelled by P241 engines, which are solid-fuel engines that have increased propellant loading and a lighter welded case as opposed to earlier version. The boosters burn for 132 seconds and are then released from the main stage. The main stage produces 220,000 lbf of thrust provided by Vulcain 2 engines using LH2 and LOX. The Vulcain 2 is a liquid-fuel engine derived from the Vulcain 1. It has 30% more thrust than Vulcain 1 and increases the payload capacity of the Ariane 5 to 6.8 tons. The Vulcain 2 burns for 540 seconds then cuts away to let stage 2 do its thing. The second stage is propelled by one HM7B engine that burns for a long 945 seconds and produces only 15,000 lbf of thrust in a vacuum. The HM7B is a cryogenic upper stage engine that uses LOX and LH2 as propellant. The ECA has 19 more launches planned for its lifetime at the time of making this post. With its 3,415,000 lbf of thrust the Ariane 5 ECA takes fourth on the modern list, but second on the successfully launched modern list behind the FH. Next up is the Proton-M, a Russian heavy lift vehicle built to carry satellites and other technology to LEO and GTO. It can propel 51,000 lbs to LEO and 15,260 to GTO. It has been launched 102 times with 9 failures. Notable payloads include GLONASS and ExoMars. 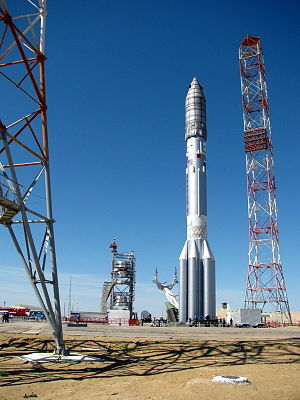 The first Proton-M launched in April 2001 from the Baikonur Cosmodrome in Kazakhstan. The Proton-M features three main stages and three variants for a fourth optional stage. For our purposes, I will be adding on the fourth stage with the most thrust. The first stage is propelled by six RD-275M engines that produce a total thrust of 2,368,000 lbf on launch. The RD-275M is a Russian liquid-fuel engine that burns N2O4 and UDMH and has a thrust to weight ratio of 156.2. It is an improved version of the RD-275, which was originally used in the first stage of the Proton-M. These engines burn for a relatively short 108 seconds and then the second stage ignites. The second stage uses three RD-0210 engines and one RD-0211 engine. Together, these engines provide 539,000 lbf of thrust by burning N2O4 and UDMH for 206 seconds. Stage three uses one RD-0212 engine, another liquid-fuel engine that is derived from the RD-0211. This engine produces 138,000 lbf a thrust, a suprising amount for one engine. It burns for 238 seconds and uses the same fuel as the first two stages. The fourth stage with the most thrust is the DM-2, which adds an extra 19,000 lbf of thrust through one RD-58M engine burning RP-1 and LOX. 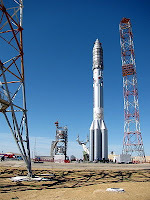 The Proton-M has twenty launches planned through 2020. As the first and only Russian vehicle on ths list, the Proton-M takes fifth spot total with a max thrust of 3,064,000 lbf, a plenty respectable power capability. 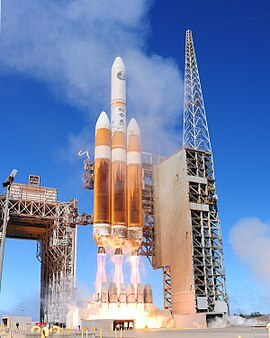 Last but not least is the plenty powerful Delta IV Heavy, the only United Launch Alliance vehicle on the list. 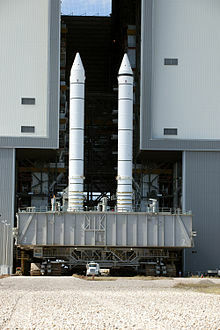 It is the largest rocket in the Delta family and was first launched in 2004. The Delta IV Heavy is used to carry satellites, government missions, and other commercial payloads. Notable payloads include the Parker Solar Probe(shameless plug to my post about the PSP, go check it out)EFT-1, and the Orion capsule. Payload capacity to LEO is 63,470 lbs and to GTO is 31,350 lbs. It has been launched a total of ten times with nine successes and one partial failure on its first launch. The latest flight was in January 2019. The IV Heavy is made up of two booster and a first and second stage. The boosters and the first stage are all CBCs, or Common Booster Cores, which each provide 710,000 lbs of thrust. They are propelled by one RS-68 engine, an engine made by Rocketdyne that burns LOX and LH2. The thrust-to-weight ratio is a low 45.3. The goal of the RS-68 was to create a simpler, easier to manufacture engine from something like the SSMEs of the old days. The RS-68 has accomplished that goal, having 80% less parts than the SSMEs. However, the simplicity is a drawback when it comes to the thrust to weight ratio. These engines burn for 242 seconds and then detach from the main core. The first stage is then continued, which is another CBC that burns for extra 86 seconds longer than the boosters. After this, the second stage kicks in. The second stage uses one RL10-B-2 that produces 25,000 lbf of thrust and burns for 1,125 seconds. The Delta IV Heavy only has four launches planned for the next four years, but I'm sure it'll be around for a long time. Its total thrust of 2,155,000 lbf places it last on this list. Looking from the outside in, it looks like much hasn't changed. In fact, i t looks like companies and governments have backed away from the huge rockets of old. But when you dig deeper, you find the progress that has been made and the technology that has been implemented and personally it awed me how quickly things can progress. Looking at stats like thrust-to-weight ratios, payload capacities, and weight of rockets in general, you see how much has changed. Engines are more efficient than ever before. Lighter materials have allowed for greater payloads. You can even look at things like booster reusability, even though that is brand new, and see how far the rocketry world has come in a short amount of time. The first rocket launch to ever make it to space happened in 1957. That's 62 years. In the grand scheme of things, that is a spec of dust on the historical scale. Imagine what things will look like 62 years from now. I, for one, am incredibly excited to see what lies ahead. Thank you to everyone who has taken the time to read this post. It truly means the world to me♡.